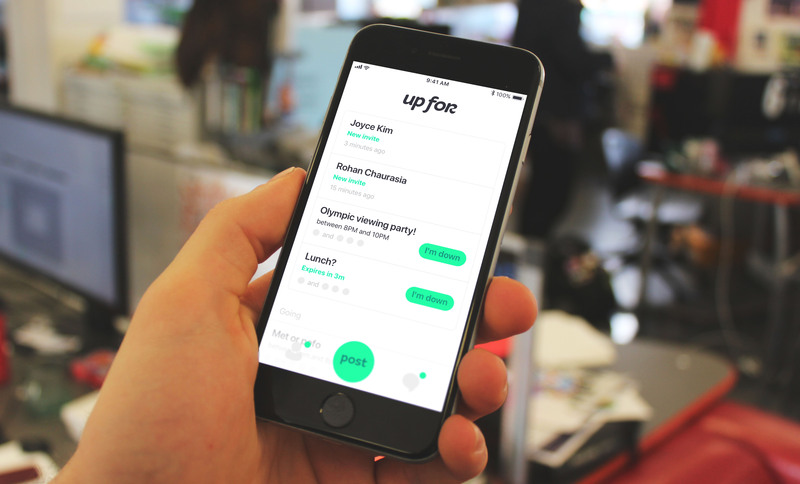 User interface and product design for Up For, an app that makes gathering with friends easier. 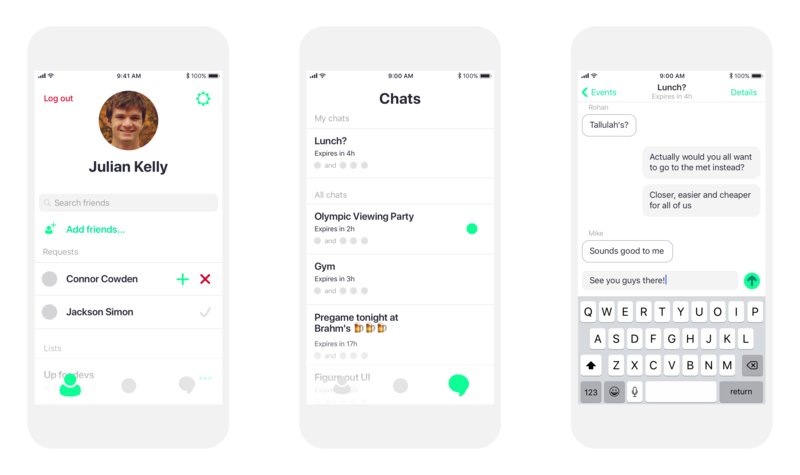 There's no quick, painless app to gather with friends. 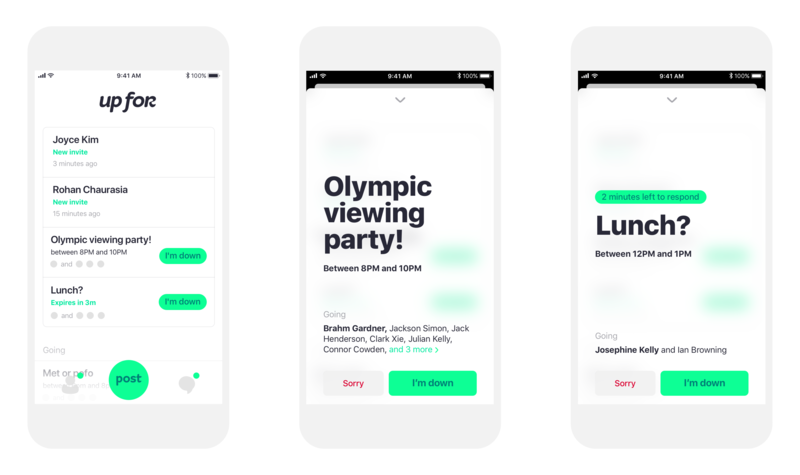 Sure, you can message them, or create a Facebook event, but one is too casual and the other too complex. 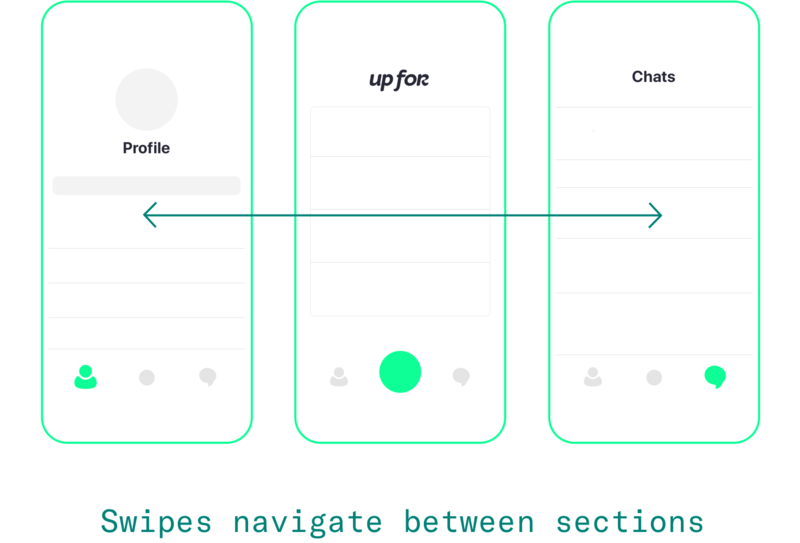 Up For was designed to be a way for friends to post casual events quickly and painlessly, and have friends join and drop with minimal effort. 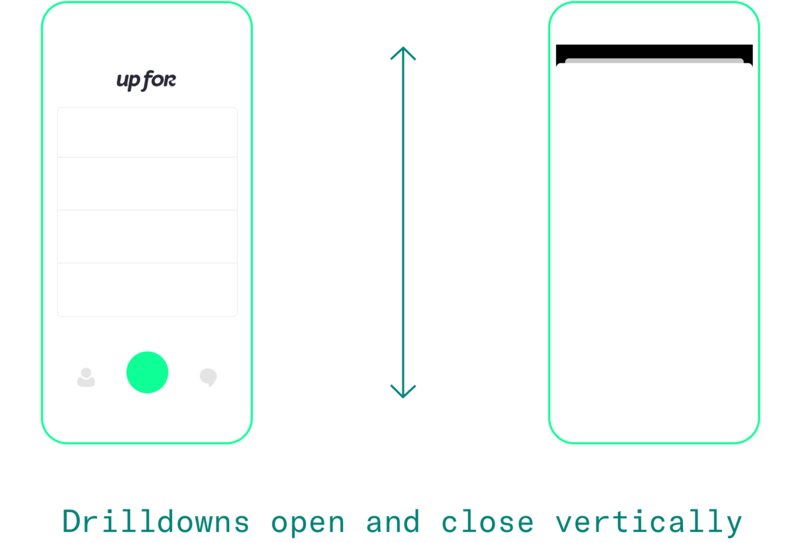 Navigation through the app was made as simple as possible. 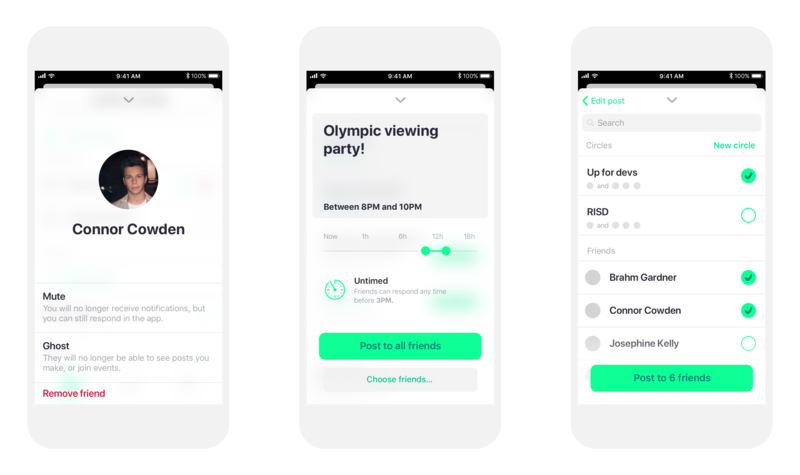 Just swiping left and right would get to planning events and your personal profile. Because this could create confusion, the navigation was designed to stick rigidly to this horizontal structure—only the areas furthest to the right could animate further horizontally. All modal windows appeared vertically, to make it clear where in the app they were. Once they were up, some modals could animate right and left. To make it as easy as possible to plan, and show users the loose nature of the planning, timing was done with a logarithmic slider. 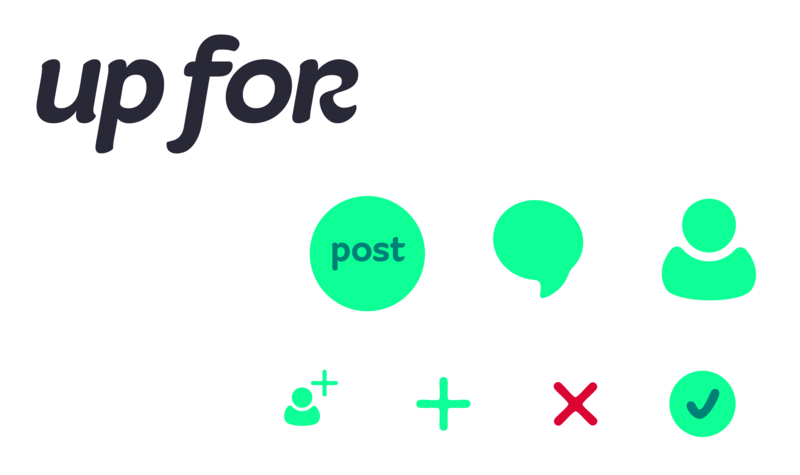 The iconography of the app was designed to complement the brand, which was designed by Connor Cowden. 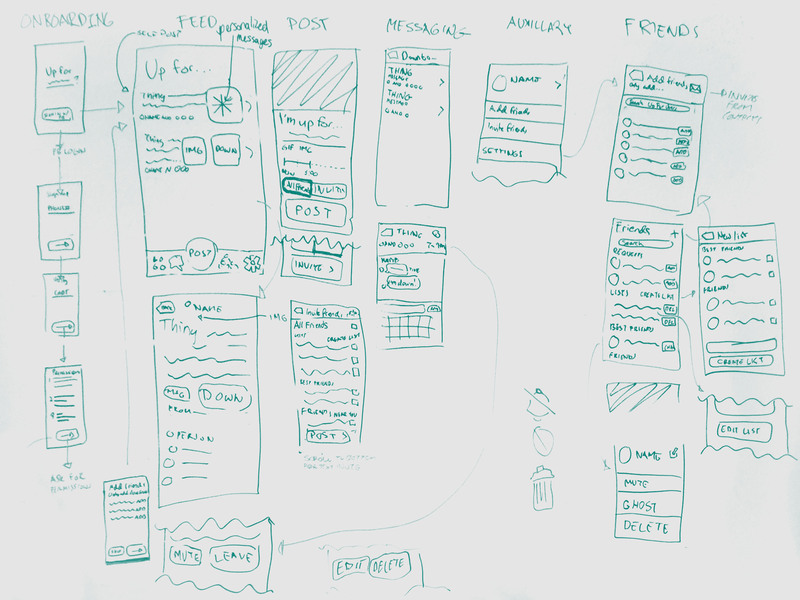 Low fidelity wireframing is sometimes the best way to hash out the app's user flows.